Bengals over the DOLPHINS- The (6-2) Bengals have been on a roll over their last four games scoring 103 points and winning all four including last week’s stunning rout of the Jets 49-9. 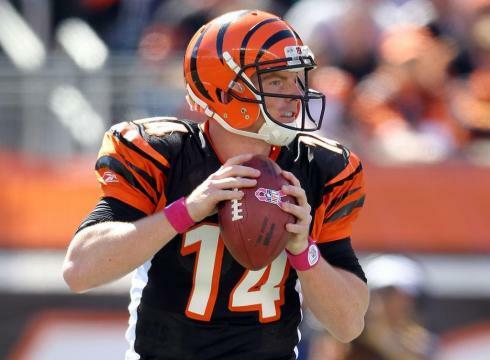 QB Andy Dalton has been on fire passing for 1,034 yards, 11 touchdowns, and just 2 interceptions over the last three weeks. The Bengals have been playing outstanding football on both sides of the ball while the (3-4) Dolphins, 0-4 in their last four , are going in quite a different direction. The Dolphins gave their fans some signs of a successful season after winning their first three in a row back in September but have faded since. It’s Halloween. For those of you that are superstitious we have a stat just for you: The Dolphins have never lost a game on Halloween, going 5-0 since their inception. We’re not superstitious. We’re picking the Bengals!